Alright Treasure Valley, we have some exciting news! Originally reported by Boise Dev, it’s been announced that there will be a Top Golf-style facility coming to the Farmstead Property located at I-84 and Eagle Rd. Never heard of a Topgolf? For those of you who aren’t familiar with Topgolf facilities, they are essentially golf entertainment centers. These entertainment centers aren’t just virtual reality, but actual size driving ranges. To get an idea of how big these facilities are, they fit approximately 1,000 people and have large bays spanning across multiple levels. The Treasure Valley is currently home to 11 golf courses, and several other indoor and virtual golf setups. But none of which will have the capacity of the new state-of-the-art facility that's in the works. What will the Facility be? The Identity of the facility has yet to be revealed. Right now, Topgolf is the top contender for the spot. 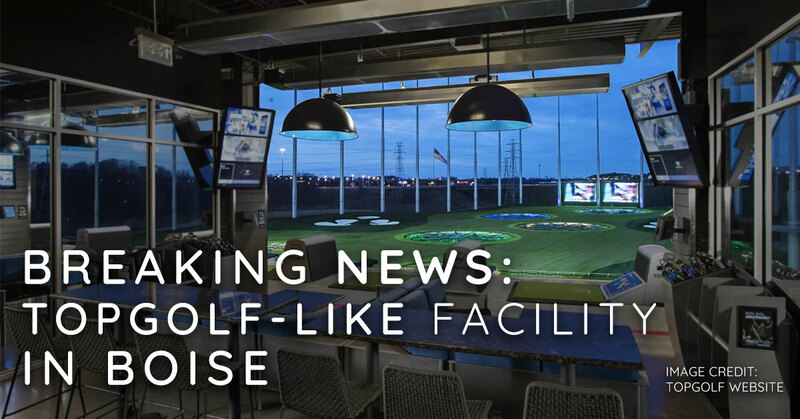 There is a chance, however, that the potential tenant might not be a Topgolf but a Driveshack or Big Shots. Both are similar in how they operate, just not as widely known. Plans for the first phases of the facility will begin this Spring. Don’t worry! The Farmstead will still have a home in Treasure Valley, just at a different location. The land in which the Farmstead is located on will also include development plans for a hotel, retail space, and a new Idaho Central Credit Union. We also thought that we should include an appropriate, punny golf joke in the spirit of the big news. Where can you find a golfer on a Saturday night?